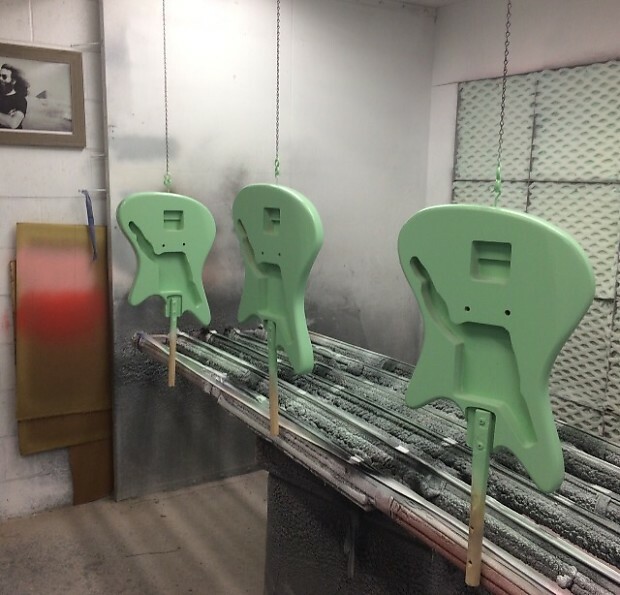 DIPINTO GUITARS - MADE IN USA! 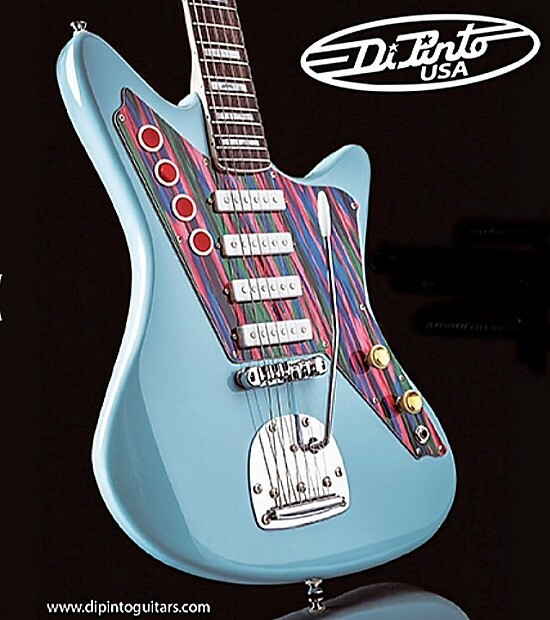 You may have heard that DiPinto is no longer producing guitars in Korea. We have moved all operations to the US as of 2016. 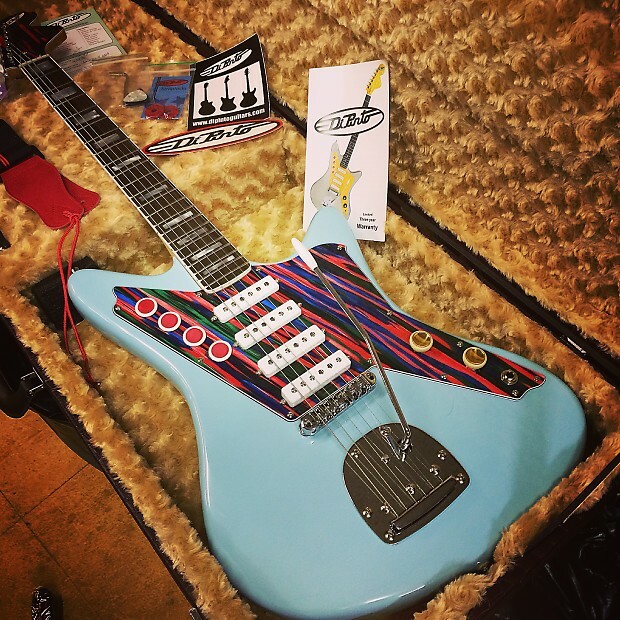 The new USA Galaxie 4's built right here in Pennsylvania are starting to ship! These are stunning guitars! 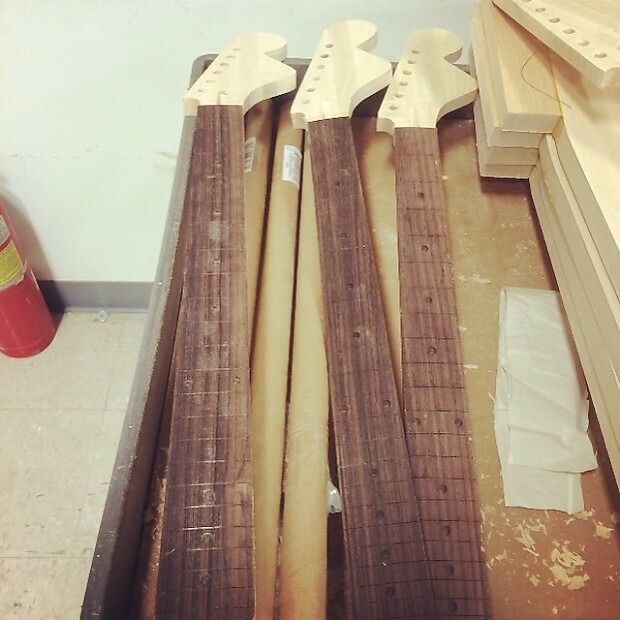 The 3 piece maple neck has the sturdiness of a 70's Les Paul Custom. 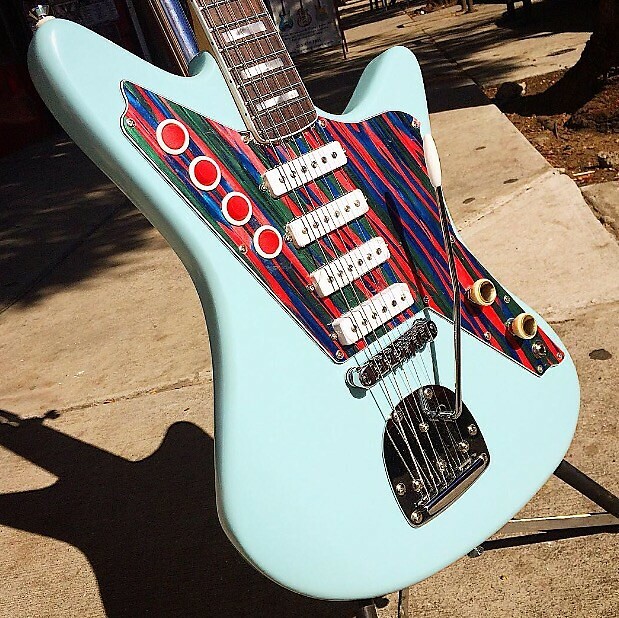 The fret work is flawless! 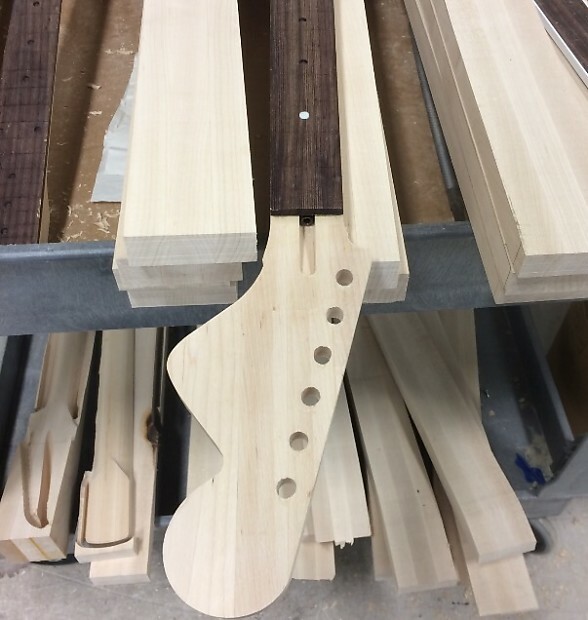 Each fret is marked individually for high spots, then worked by hand to get a perfectly level surface. The frets are hard German metal, not soft Asian material. The Nitro finish is like satin (this is a labor intensive finish and will be an upgrade next time around). The pearl inlay has a milky, 3-D swirl which sets it apart from the Asian inlay we've all seen so many times. The tone from the American Samp Ash bodies are snappy and responsive! We are so proud of our American workers and we take pride in investing in USA jobs to help build a better future for our country! Help us keep it going!! We made 7 Serapes like this and 4 were pre-ordered. I am taking one to NAMM so that leaves 2 that are still available! 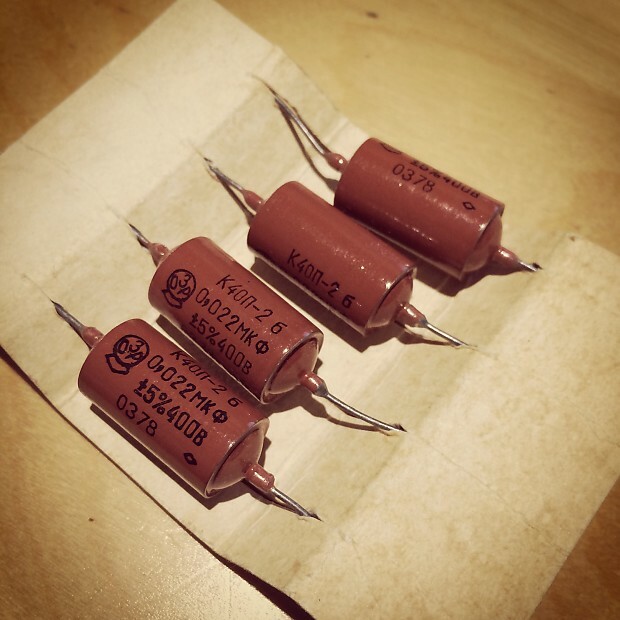 Note: we are continuing to use some of the well made parts still being produced by the Korean manufacturers. 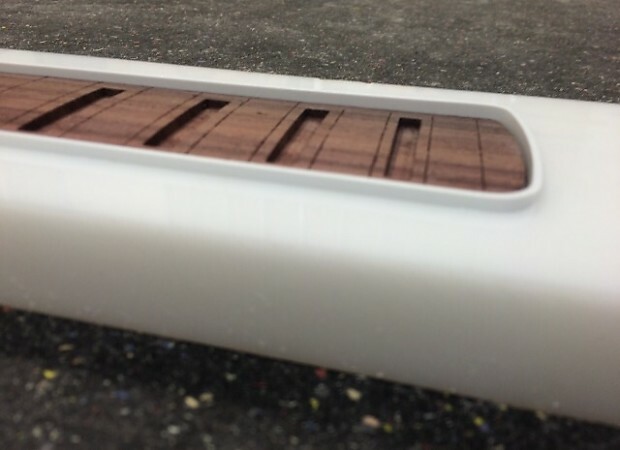 Our DiPinto pickups are very sought-after and are the signature tone of our guitars. The surf trem, the fully adjustable roller bridge with tone lock and the pearl tuning pegs stay in tune beautiful so we did not want to mess with a setup that has been working for us. 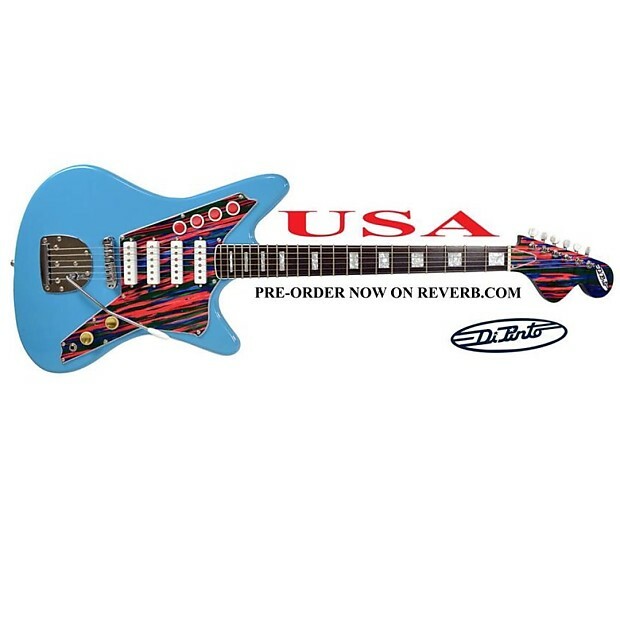 Besides our red rockers, which I assume are made in China, the rest of the guitar was made in the US! The nuts are Graptech Tusq XL nuts which are imitation bone and have a built-in lubricant. They are hard and dense and do not chip as easy as bone. Plus they are more consistent since organic materials like bone often have dead or week spots. These are also better than the Asian plastic nuts. 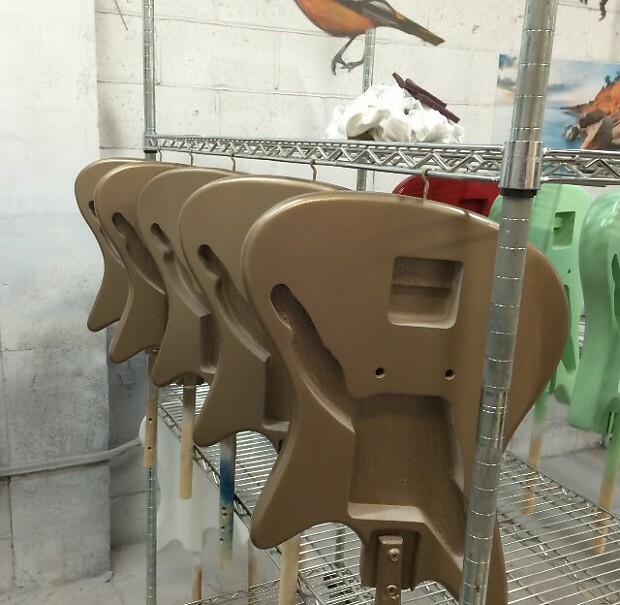 All pickguards are signed by Chris DiPinto and Jim Donahue (factory foreman and legendary Ibanez engineer at Hoshino). 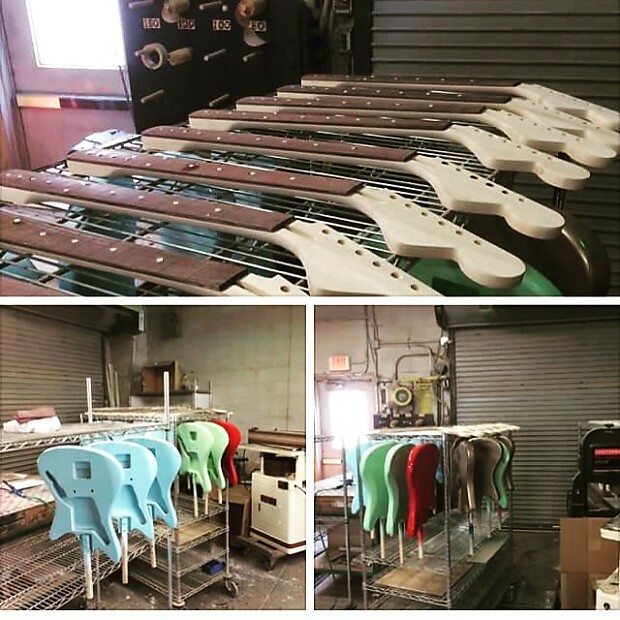 Message me direct for custom color options and pickup options. We can pretty much make anything but it might take a little longer. Price of alternate pickups and parts will change the final value as well. We sometimes offer free or discounted shipping as a promotion. For returns on items with free or discounted shipping, buyer is responsible for the actual shipping charges. Any item not working as described can be returned for a refund or if damaged in shipping a claim can be made. NO technician is permitted to look at or repair the item unless DiPinto gives express permission. Any attempt to do so will void the return policy. Returns are the only option if you are dissatisfied with an item.